In October of last year, we went over our front yard and backyard with our landscaper (aka Joshua’s adopted dad). While we got started with clearing stuff out of the backyard we paused on it to focus on the front yard. We got our motivation back this summer, of course during the hottest days. 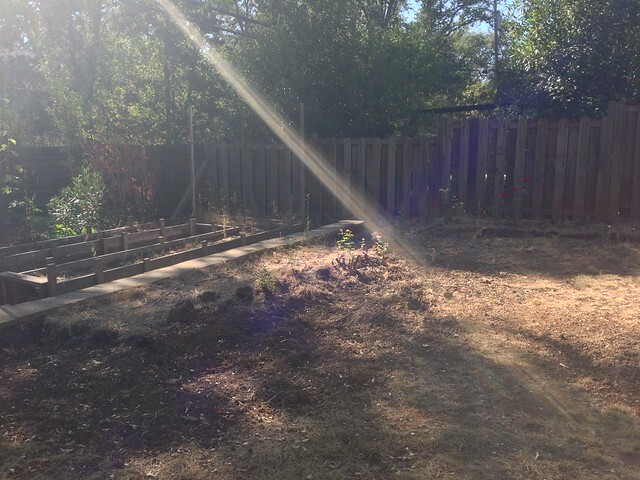 I focused on tearing out all the oddly placed planter boxes, tearing out overgrown grapevines, and clearing out the garden beds. Joshua tore out what we suspect to be some kind of water feature gone glorified plant box. 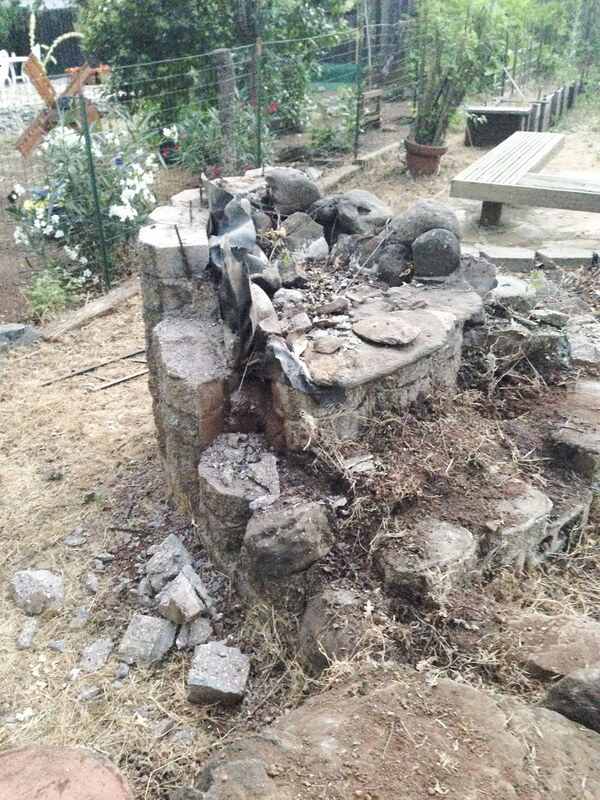 We also managed to get a fire pit going with the spare stone from disassembling the fountain-thing. As much as we’ve cleared out and done, it still feels like it’s gotten out of control. 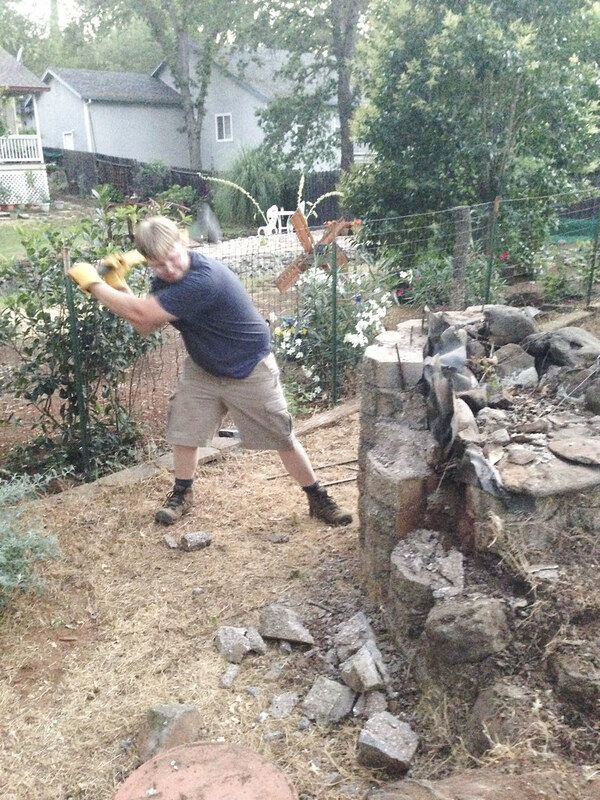 We need help, so we’re going to be bringing in Joshua’s dad and brother to help us out with landscaping. 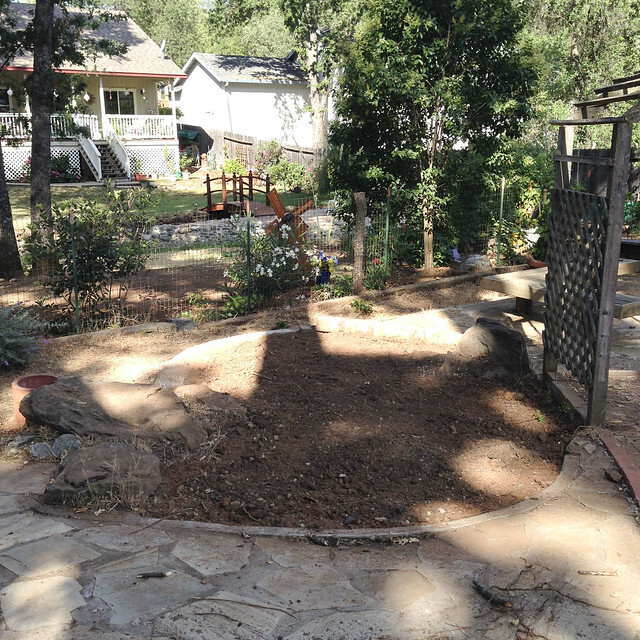 Really what it comes down to is we just want our backyard to be simple, clean, and green. 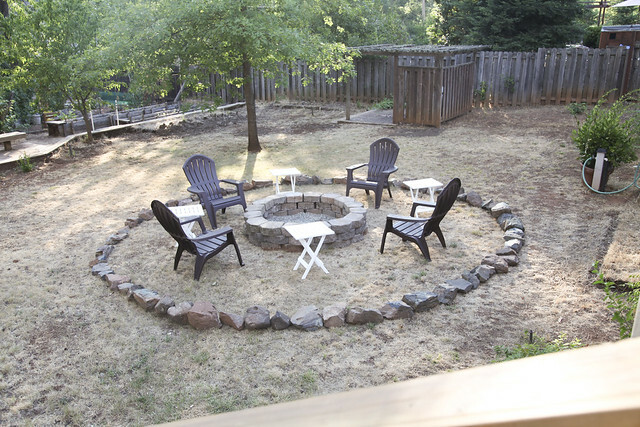 A great example of our ideal backyard is my Uncle Steve and Aunt Patty’s backyard in their Tahoe home. Just grass, shrubs/trees, and bark. That’s the goal this fall.